The Flash has very entertaining in itself three episodes. The episode “Things You Can’t Outrun” did have the villain of the week but the episode helped developed the overall season plot line. The cast has really grown into their roles and the best part of the show might be the acting. Things You Can’t Outrun introduced Mist, a supervillain in the DC Universe. Kyle Long has the ability to change into a poisonous gas. He kills his former mob bosses who by suffocation. Detective Joe West and Eddie Thawne investigate the murders along Team Flash. Joe asks the team at Star Labs to help solve this case. The question is either to kill the villain or capture him? Barry suggests building a prison to hold these villains. Dr. Wells suggests that the particular accelerator can be modify to hold these villains, and it would be the first time the particular accelerator would be used since the night it exploded. The particular accelerator brings back painful memories to the Star Labs team. The episode introduces Ronnie Raymond, Robbie Amell ( brother to Stephen Amell who plays Oliver Queen’s). 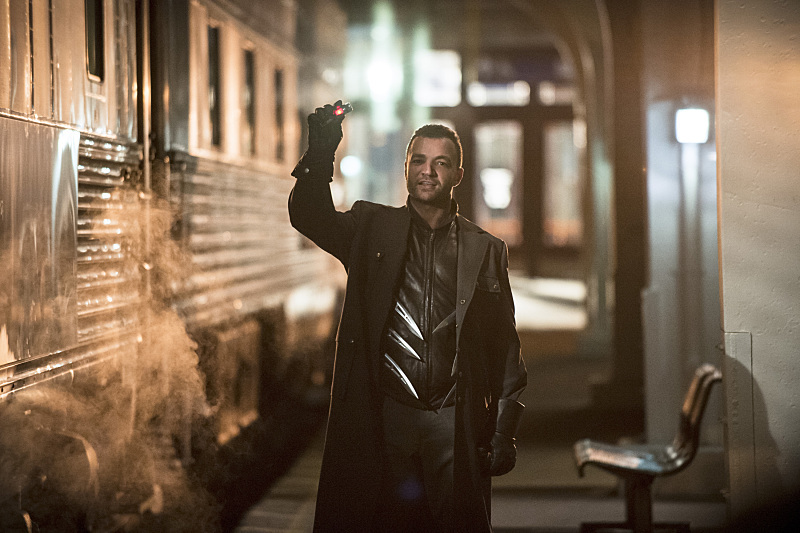 Raymond is Caitlin’s fiancée and sacrifices his life to save Central City. Detective Joe West does tell Eddie and Iris, his daughter, that he knows about them dating and he is ok with it if Iris really loves him. However, the real question is who is Dr. Wells and what can he do? Overall, this episode was very solid. The special effects are so cool and hope they introduce more of Flash’s powers. It would be fun to see him run up a building and end a hostage situation in a Flash. Jesse L. Martin is very solid as Joe West and his partner, Eddie Thawne, is so loveable. However, Joe is spending more time with Barry which might cause some future hostilely that Eddie could develop towards Barry. The episode did more with the team at Star Labs. The flashback scenes showed that these people, on the night that the particle accelerator blew up, suffered losses. 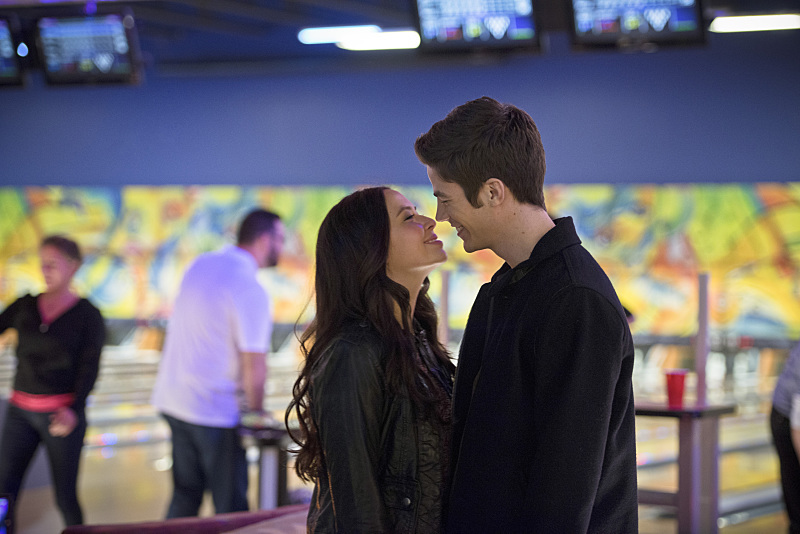 Barry and Caitlin had moment which I thought they might kiss. The writers should explore this relationship more because both of Barry and Caitlin are science geeks and have common interests. Honestly every main character is likeable, and the actors do a great job in bringing these roles to life. Next week, the audience will introduce to Captain Cold and a Flash arch nemesis, one of the main ones. The only negative about the episode would be the villain. The actor wasn’t that terrifying but he was limited in his dialogue and had a revenge plot. The Mist does joint other superheroes in effort to take down the Flash. My belief is after the introduction of Captain Cold that we will see the rogues beginning to team up once they break out of this prison later in this season. Overall, this flash episode was pretty solid. The Flash continues to have good acting, special effects, and clever dialogue. They writers did throw in jokes about the Flash having his own museum. It was nice a little easter egg for the comic book fans. This is a show that you need to be watching. “Things You Can’t Outrun” gets a 4/5. The Flash comes on Tuesdays at 8pm eastern time. Flash finds a new partner! 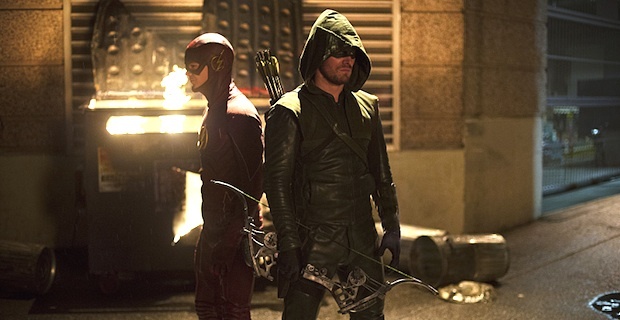 The Flash premiered last week and it was well received by fans and critics. The episode Fastest Man Alive was a good episode also. The series is still finding its voice and establishing itself. However, Jesse L. Martin plays a giant role in this episode. 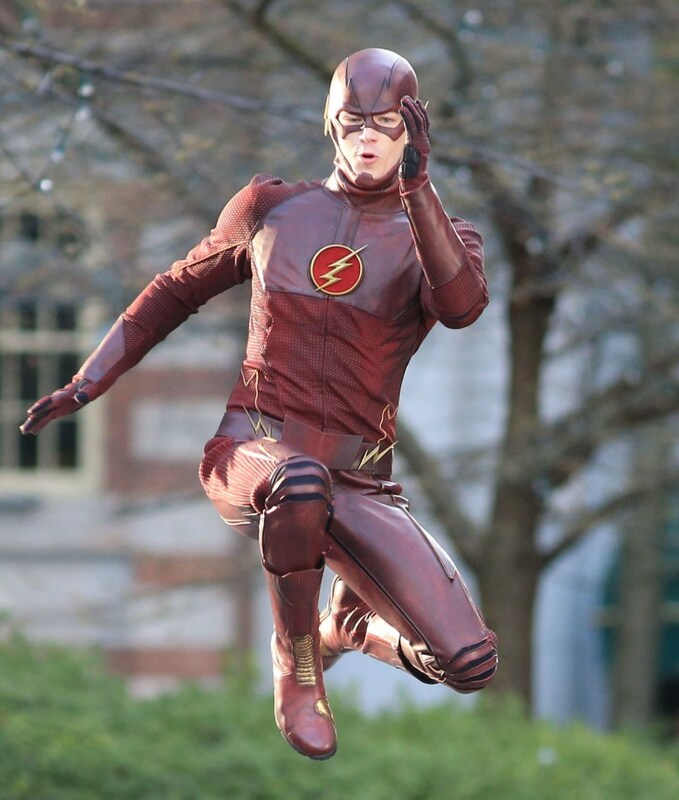 The Flash is already getting noticed by the city calling him the Red Streak. Barry Allen as the Flash saves people from a burning building. Central City has taken noticed of him. He and his best friend, Iris, go to the honorary ceremony for Simon Stagg. Three men show up and crash the ceremony. Barry is having trouble maintaining his energy by the constant burning of energy every time he runs. 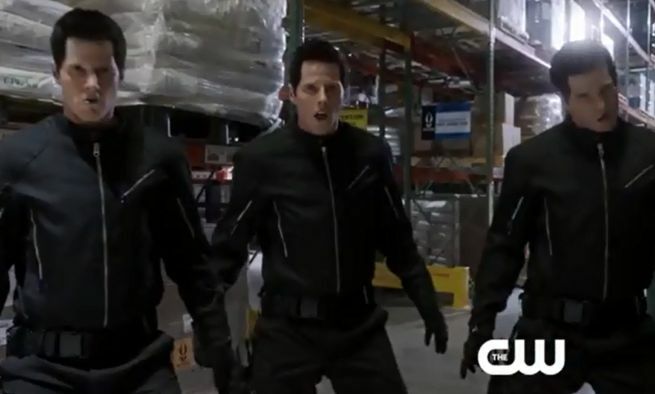 Star Labs investigates the gunmen and finds Danton Black can clone himself. 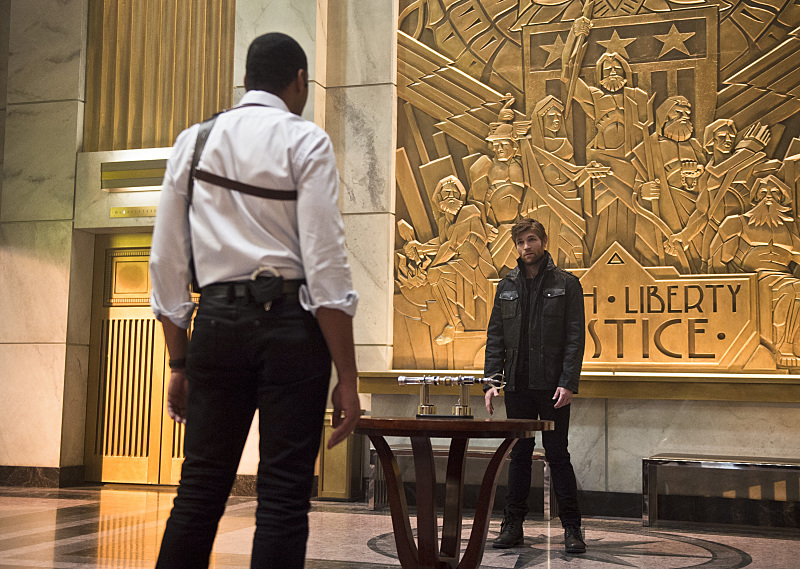 Barry saves his surrogate father, Joe West, from Black which leads to an argument between Joe and Barry. 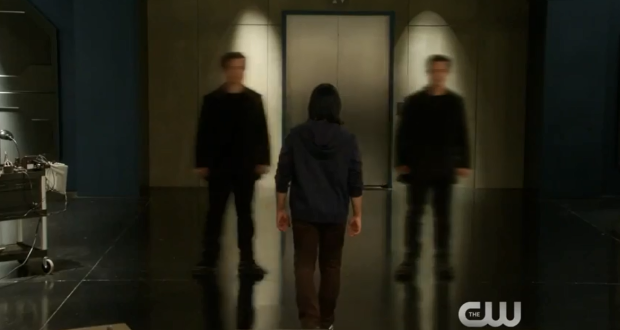 Barry must decide for himself either to be the Flash or just be a regular guy? This episode accomplishes several key elements that will make this series into a good show. First, the relationship between Barry and Joe is a lot like Bruce Wayne and Alfred. Joe sees Barry as a son and doesn’t want harm to come to Barry. 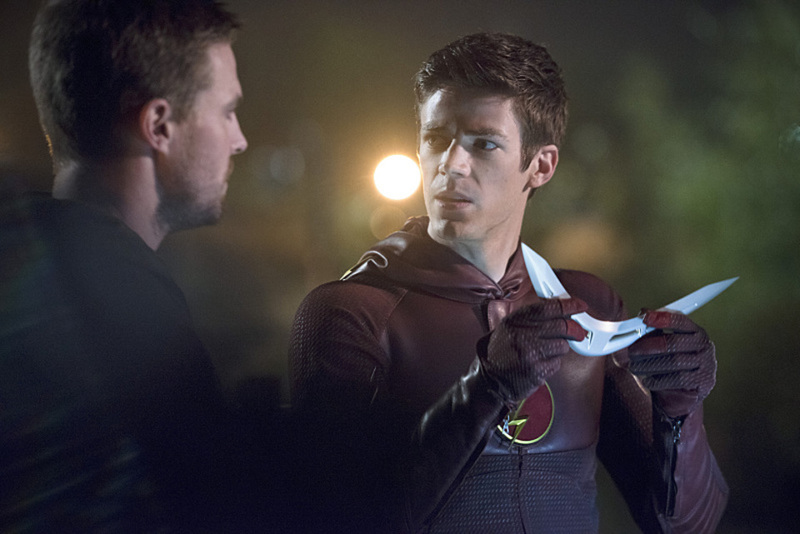 He tries to persuade Barry not to fight crime. Joe sees Barry’s real life job a way to fight crime. The two become closer in the end of the episode. Secondly, the writers help us discover about Barry’s bodily mechanics. In other media versions, Barry constantly eats to keep up his energy. The lack of sugar causes him to faint. The writers did a wonderful job of putting this key component of the Flash in this episode. Finally, Danton is prototype for a villain known as Mirror Master. Danton can clone himself into multiple version. For example, the Flash can be facing Danton then face a hundred. He’s a terrifying villain. The only negative issue is the Flash Team. Arrow has a distinct team with Dingle and Felicity. Catlin and Cisco really don’t do that much. They dragged the episode a bit. Looking forward to more character development for these two characters. . Overall, this Flash episode is a good. The series is still finding its feet. The actors need to settle into their roles but Jesse L. Martin has only settled into his. This episode gets a 3.5/4 because the episode didn’t wow me like Arrow or Gotham does.